Summer is coming, and we are all looking forward to the good weather, vacations, and spending time outdoors in the sun. It is the perfect time to relax in the garden and enjoy entertaining friends. 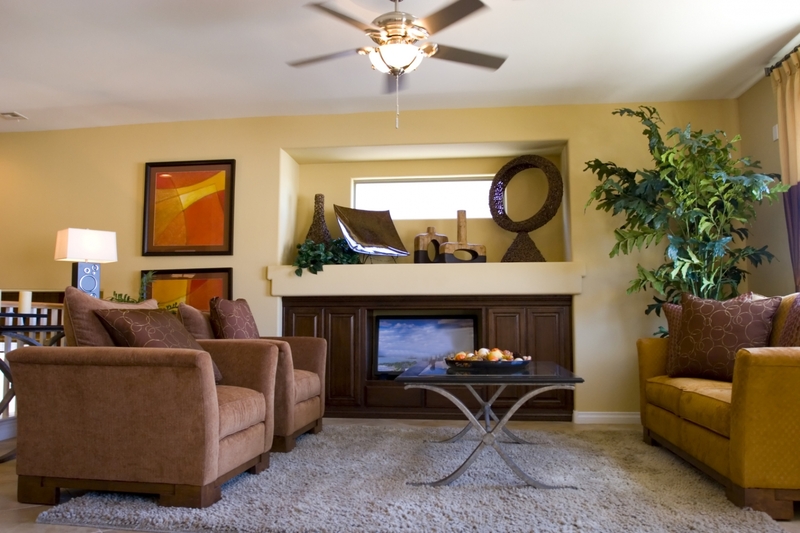 The change in season is a great opportunity to spring clean and add a fresh new look to your home. Whether you live in an apartment or a house with a big garden, you can enjoy nature and add some fun summer accents to brighten up your home. Want to make the most of your summer and enjoy your home inside and out? Here are 5 things you need, to keep your home stylish and comfortable this summer. Landscape lighting can make your home and backyard areas more beautiful and functional in the warm summer evenings. The different styles and shapes offer a variety of looks and lighting levels. There are many types to choose from including solar options for the eco-conscious. You are sure to find a system that suits your landscape design needs. The lighting can be purely functional, to light up pathways and outside spaces. Or you can use it decoratively to highlight certain features and enhance the look of your home and garden at night. Summer is a time for BBQ’s and entertaining in the garden. No-one wants to sit in a dusty yard though. The summer sun and lack of rain can play havoc with your lawn. Making sure your lawn is watered regularly will help to avoid brown spots and keep your grass green and lush. Watering by hand can be time consuming and inefficient. An automatic system can make life easier, taking care of all the lawn needs, so you can enjoy relaxing in the sun. You do not need to have a big garden to enjoy nature. Houseplants are a popular addition to homes as they add a beautiful touch of nature indoors. A small indoor garden or selection of house plants can be easily maintained with a little effort, sun, and water. There are many different plants to choose from and different ways to grow them in your home. With decorative pots, hanging baskets or pots attached to the wall they can complement any decor style. Growing herbs inside not only adds natural beauty to your home, they are also edible. Depending on what you grow, you can use them for cooking or in fresh summer salads. Not only does summer bring warm weather, it is also the time of year for many insects and pests. With doors and windows often left open, garden parties and more time spent outside, pests are likely to get into your home. Ants and flying insects can be a nuisance in the house. They can also harm your garden plants. There are simple DIY methods to get rid of household pests that are safe and do not require expensive chemical solutions. You can also put screens on windows and doors to help keep your house cool and prevent pests from coming in. Summer is a time for fun, you can update the look of your home and garden furniture by adding fun pops of color. Bold colors, gold and tropical prints are trending this year. Revamp the style of your home for summer by adding bold tropical print throw pillows, gold embellishments or colorful fabrics. As the seasons change so does our lifestyle. Summer brings warmer weather and more chances to enjoy the outdoors. Keeping a well-maintained garden and protecting against pests will ensure you can enjoy the outdoors at home all summer long. Landscape lighting and colorful pillows and fabrics will add a fun summer style to indoor and outdoor spaces. Sorting out these things before summer will give your home a fresh new look where you can relax and entertain friends in style.